Welcome to Hainsworth Park. The club was formed in 1983 and is set in established grounds with mature trees and interesting water features. This easy walking parkland course has wide fairways, but beware the many hazards that can ensnare the wayward shot! 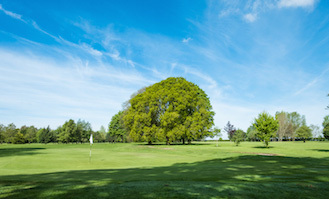 Close to, but protected from the coast, the course is extremely well drained and offers all year round excellent playing conditions, without temporary tees or greens. And trolleys are never banned! The Course was originally constructed as nine holes and was rapidly expanded to 18 and continues to develop to this day. Bunkers, water hazards and trees are strategically placed to make this a true thinking person’s course. 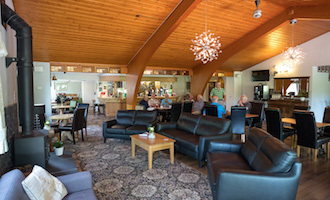 The Clubhouse offers a wide range of facilities with typical Yorkshire warmth for all members and visitors. Visitors are welcome to use the locker room facilities, bar, and patio. There is a wide range of refreshments and an ever changing menu serving traditional home cooked meals. Either sit in the dining area or outside in the summer months where the tables and chairs are located overlooking the 18th green.